Do I need a lawyer to file a claim after a car accident? How much money is my auto accident case worth? What if I was at fault? Can I collect any damages? If you were in a car accident with injuries, it’s not uncommon to have a lot of questions — and few answers. The Umansky Law Firm focuses on helping individuals and families who have suffered serious injury in car, truck and other motor vehicle accidents. Our Orlando car accident lawyers help you understand your rights as we fight to ensure you receive all the compensation you are due. Contact an auto accident lawyer at The Umansky Law Firm, P.A. in Orlando, Florida, today for a free consultation and case evaluation. 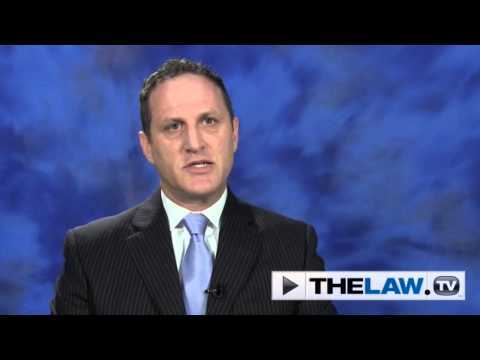 Do I need a lawyer to file an auto accident injury claim? No, you are not required to hire an attorney, but if you have had any kind of serious injury or if it is unclear who was at fault, it is a good idea to do so. Most people who work with an attorney after a car accident receive a higher settlement offer from their insurance company. If you have problems with your insurer, only an attorney can take your case to court to compel them to pay your bills. You may be entitled to a number of different types of damages under Florida law. Some of the more common types of damages in accident cases are: reasonable past and future medical expenses, lost earnings, pain and suffering, mental anguish, and damages relative to you sustaining a permanent impairment to your body or earning capacity. Your case is worth either what you agree with the insurance company it is worth or the amount of a cash award granted by a judge and jury. We examine all of the conditions surrounding your case in order to arrive at a figure that we believe the insurance company must pay for your injuries. Generally, the dollar value is dependent upon the type and extent of your injuries. Other factors influencing the dollar value of your case are the amount of medical bills, length of treatment, frequency of treatment, future medical bills, permanent disabilities and any other damage that can be documented. We study every detail so that we can get you the award you deserve for your injuries. If the insurance company agrees to pay what we believe your case is worth and you wish to settle for that amount, then your case will not go to court. This is what happens in most situations. Some cases do require a formal trial proceeding, however. In either situation, hiring a firm with experience in handling personal injury cases is critical. We prepare all of our cases as if they are going to court and this is the very reason why most of our cases get settled outside of court. We are prepared, and our preparation allows us to negotiate from a position of strength, helping you get the maximum award for your injuries. Talk with a lawyer before you decide that you can’t afford legal help. Your initial consultation is always free of charge . Most personal injury cases are handled on a “contingency fee.” That means your attorneys’ fees are paid out of the settlement or verdict you receive, not out of your pocket. You may be asked to pay court fees and expenses. We can explain that in more detail at your first meeting with your lawyer, before you sign any contract. Everyone worries about how they are going to pay their medical bills and get their car fixed. The bills are on the table now and they feel pressured to agree to a settlement as soon as possible. While the client is in treatment, we are building the client’s files, obtaining copies of all medical records in connection with the accident and injuries, and resolving any remaining liability or other issues in the case. Of course, the length of medical treatment depends on the nature and severity of the client’s injuries. It’s important not to give in to the pressure of bills, however. If you take the money now, you cannot ask for more money later if additional medical expenses arrive. It’s best to wait until you’ve reached “maximum medical recovery” (as close to your original health as you are going to get) before you accept a settlement agreement. In the meantime, we can negotiate with your medical providers about those bills. The time it takes to settle a car accident injury claim depends on the circumstances of your accident and the attitude of your insurance company. We may be able to settle with the insurance company in a matter of weeks, or in complex cases it may take more than a year. If the insurer refuses to be fair, a lawsuit may be necessary to get you the money you deserve. That usually takes longer than negotiating a settlement. Of course, some cases do not result in a settlement agreement. In that situation, we talk with the client about the possibility of filing a lawsuit in connection with the accident. In every case, however, we attempt to resolve the client’s claim as efficiently as possible. What if I was partly at fault for the car accident? Can I collect any damages? 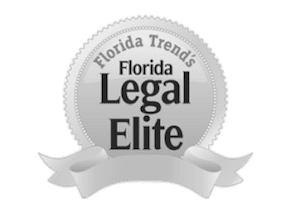 Florida is a “comparative negligence” state, which means that you can recover money even if you were partly at fault in causing the accident but your compensation will be diminished by the percentage of fault. For example, if you were speeding and the other driver was drunk at the time of your accident, a case may be made that you were 25% responsible for the accident and the drunk driver 75%. You could then collect 75% of the value of your damages. DO NOT discuss fault or negligence with anyone but your attorney. Until your accident has been investigated it may not be possible to know who was really at fault. We investigate your case and talk with your insurance company on your behalf. Contact a personal injury lawyer at the Umansky Law Firm any time, day or night. We offer a free consultation to all personal injury and car accident victims in the Greater Orlando area. Our Orlando, Florida injury attorneys represent tourists from all over the United States and the world, including England, Scotland, Brazil, Spain, Europe, Columbia, and France.